From early in his career, Robert Rodriguez has been pushing boundaries and though at first, he pushed them out of necessity, he now seems to be pushing them both to challenge himself and the art of filmmaking. 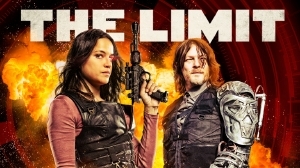 In addition to Alita: Battle Angel (trailer), Rodriguez has also been working on The Limit, a 20-minute long VR action movie starring Michelle Rodriguez, Norman Reedus and you; cheesy but true. The story stars the user as a rogue agent who enlists "the help of enhanced super-assassin M-13 (Michelle Rodriguez) to retrieve your identity and strike against the deadly organization that created you." I've tried VR experiences in the past, usually add-on content which has been released in conjunction with other movies, a handful of games, and even exploratory adventure type experiences which feel like a hybrid of movies and games, but I'm curious to see what Rodriguez and crew have put together with this "cinematic VR." The Limit is available now in both 2D and 3D for a wide range of VR devices including smartphones for the low introductory price of $4.99 for VR devices and $3.99 for smartphones. More details and purchase options on The Limit website.